The Yahoos of the world may be eliminating telecommuting, but the fact is, working from home is easier than ever. I work from home myself, so I’m clearly biased, but many companies find that home-based workers are more productive than their office-based brethren. Here are the Mac apps and web-based tools I use to make working from home work. That's not Messages. It's HipChat. Tip: To keep from getting the two confused, don't put their very similar icons side by side in the Dock. You need a question answered quickly, but aren’t sure who to ask. You’re working with a group under the gun, and need to have a rapid back and forth about who’s doing what. These are the times when group chat comes in handy. From Altassian, HipChat is an app for group chat. It’s free for teams of five or fewer; after that, the cost is $2 per user per month. Its closest competitor is Campfire from 37Signals (pricing varies). Macworld picked HipChat in part because the service has a couple of options Campfire lacks: Besides chatting in various rooms with your coworkers, you can also initiate direct one-to-one conversations within HipChat. 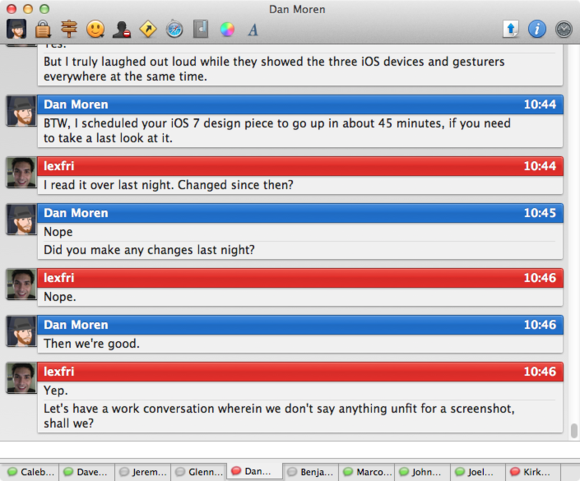 HipChat allows for both group and one-on-one conversations. That means you won't miss out on what coworkers are talking about. As a remote worker, I aim to be highly responsive. I know that when I worked in an office, and a telecommuter didn’t reply to an IM within seconds, visions of my colleague eating potato chips and watching television immediately leapt to mind. HipChat helps mitigate the risk of nonresponse for workers regardless of their locales: If you receive a message in chat (one that uses your name in a group, or any one-to-one message) and you’re idle, the service shoots you an email to let you know. 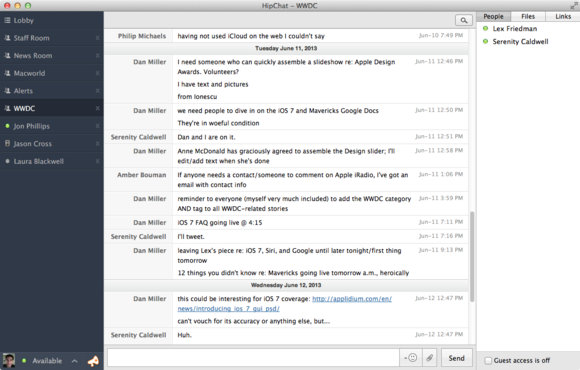 Though HipChat previously relied on an Adobe Air app, a beta Mac app is now available, and it’s miles better. The free HipChat iOS app is very good too, though I occasionally need to force-quit the app and relaunch it to get it to show messages in a given chatroom. Though HipChat’s good for group chats, and passable for one-on-one conversations, I still rely on instant messages for a lot of direct correspondences with my coworkers and bosses. In fact, this very story was assigned to me via instant message. Though some can hang with Apple’s Messages (née iChat), I just can’t. 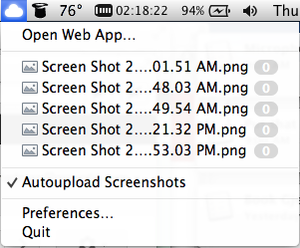 I feel like the free Adium app is actually the more Mac-like of the two. 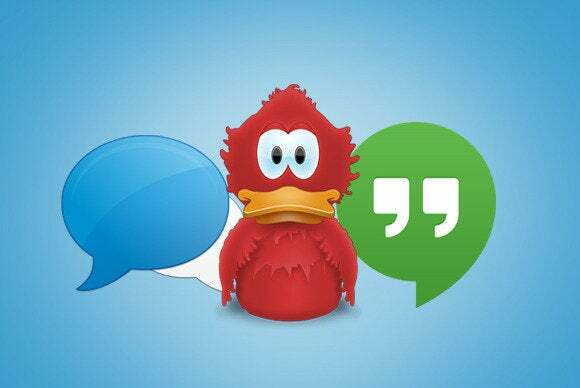 Adium combines AOL Instant Messenger, Yahoo IM, Google Talk, Facebook, MSN, ICQ, and a bunch of other chatting services no one really uses anymore. Adium's tabbed interface makes quick work of handling many conversations. Adium’s very customizable: I get a beep when a colleague initiates a conversation with me, and a blinking indicator in the Dock when unread messages stack up in existing chats. I leave Messages open for iMessage conversations only, and rely on Adium for everything else. Sometimes, text chat isn’t enough, and that’s when Google’s free Google Hangouts come to the rescue. The service makes free videoconferencing possible, and we rely on it for weekly meetings. Hangouts work in all modern Web browsers, and they make quick, zero-configuration work of setting up multiparty video chats. Since the service depends on Flash, it makes my Mac’s fans whir up like crazy, but regardless: It’s a very effective way to create and join videoconferences. There’s one annoyance, and it’s significant: Depending on the setup, Google Hangouts can have a major echo, echo, echo problem. In my experience, the echo is never on the remote worker’s end; it’s in the office conference room, where external speakers and an external microphone can combine in unpleasant ways: The microphone picks up too much of the speaker audio, so all the remote workers hear themselves echoing endlessly. When the echoes aren’t a problem, Hangouts are great. For straight videoconferences, Hangouts are smart enough that they can automatically mute your Mac’s mike if Google “overhears” you clacking away at your keyboard. And for cowriting—which we tend to do a bit of here at Macworld—Hangouts are excellent: You can open a shared Google Doc and collaborate on it while also communicating audio-visually in real time. organized inside a Web browser. Most folks who use Google’s free Google Voice use it for its phone call triaging features: You can set up a virtual number which rings one or more “real” phones that you specify. You can route specific callers to specific phones, block certain callers, send calls to voicemail, and more. Those are all great features. But they’re not my favorite. My favorite feature is one that didn’t even exist when I first started using Google Voice: Its integration with Gmail. I place and receive my work phone calls through the site-specific browser I maintain for Gmail. 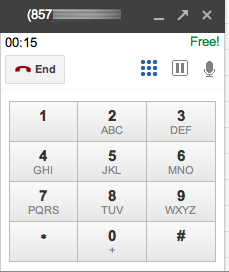 In the Gmail browser window, you can place and receive phone calls using your Google Voice number. I literally speak right in front of my Mac, and the built-in microphone is good enough for a typical phone conversation. And it’s more convenient than any other hands-free phone approach. On those occasions when I need to make phone calls with my colleagues around the country, I needn’t stop what I’m doing to grab hold of phone. The ability to hold phone calls with my coworkers, without needing to change what I’m doing, to me feels rather akin to calling out to a colleague in the next cubicle. It’s kind of the next best thing to being there—and it works wherever I have a laptop and an Internet connection. It's easy to share screenshots with CloudApp. The shots I snap are automatically uploaded. “Hey, look at this.” That’s easy to say in an office, when you can call your colleague over to your desk. It’s considerably harder from 3,000 miles away—unless you rely on one of these quick sharing services. Both Orangutango's $8 Swing and Linebreak's $45 per year CloudApp offer services that automatically upload screenshots you snap, or any files you drag onto their menu-bar icons, and put the URL to share those uploads right onto your clipboard for pasting. It’s quick and painless, and makes it very easy to share files without fuss. I use those services many times every workday. Dropbox has released a beta version of its own app that does this sort of instant sharing for screenshots you take, and of course Dropbox is an important part of any collaborative, remote workflow too. If Dropbox emulates both features—not just the automatic screenshot sharing, but the ability to drag files to share onto its menu-bar icon—I might abandon the other two apps just to cut down on how much is in my menu bar. Working from home doesn’t have to mean working alone. Staying connected to coworkers at your faraway office is simple—if you pick the right apps.